The Beauty Junkie - ranechin.com: Nicole's Mirror First Birthday GIVEAWAY!!! 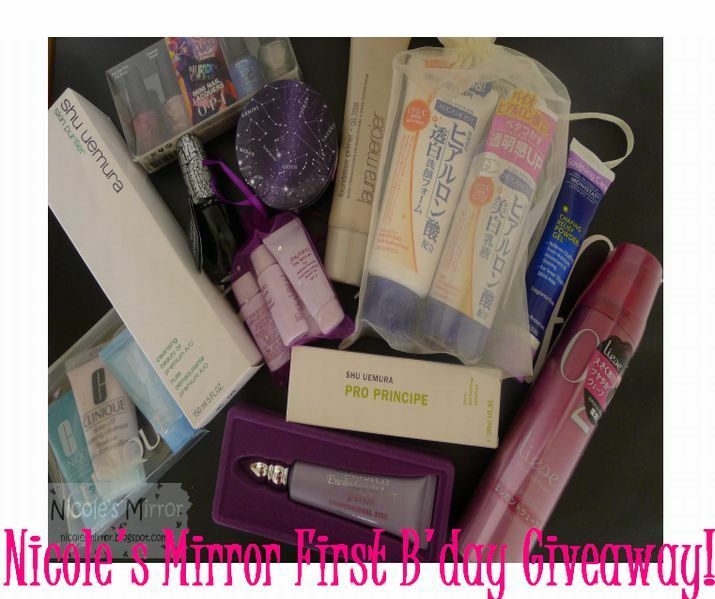 Guys & girls, Nicole's Mirror is having her 1st Giveaway with amazing prizes! 12 products for 12 lucky winners. Isn't it AMAZING?! I hope I could win the Urban Decay Primer Potion after hearing so many raves about it!